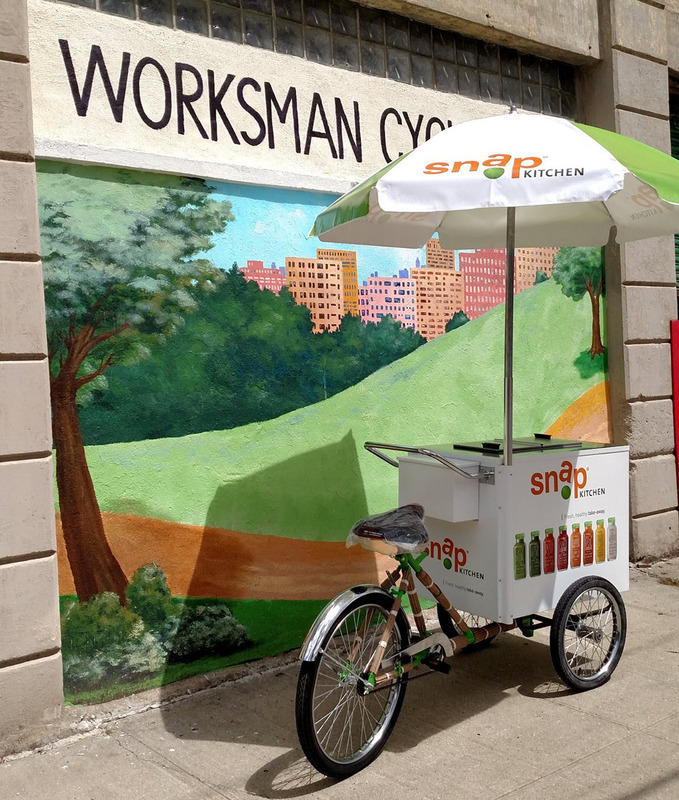 Built in our New York City Factory, the 800 Buy Cart VITS Ice Cream Tricycle offers mobility to go virtually anywhere to bring your product to your consumer. 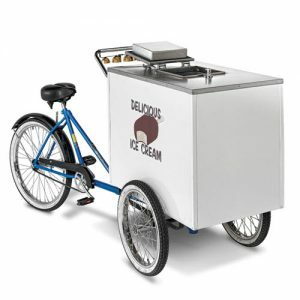 Built sturdy and tough, the 800 BUY CART Ice Cream Tricycles have been the industry standard since the beginning of the 20th century. 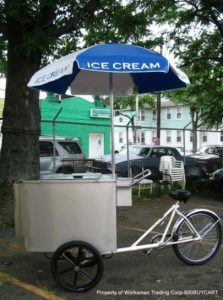 Our standard model Trikes continue to be the most popular units both with the the local street vendor and corporate client and the 800 Buy Cart V-ITS Ice Cream Tricycle is no exception. Same as model V-ICT, except the door is a removable flip style door measuring 20″ x 10″. This door style is appropriate for pre-packaged Novelty Ice Cream or scooping (Keep in mind the door opening size vs. your bulk pack containers to make certain that scooping will work in this configuration). 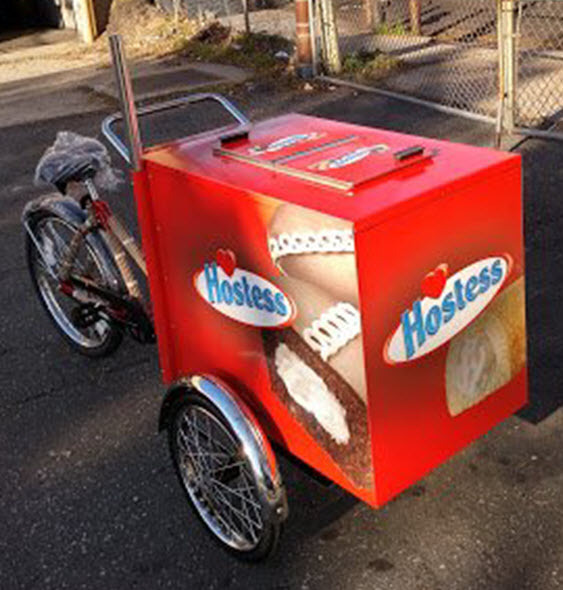 Includes a Napkin/storage compartment by handlebars. We only install Dry Ice Shelf on V ITS if customer specifies this need. GREAT FOR SAMPLING PROGRAMS! 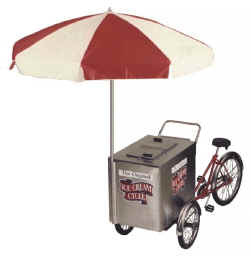 Worksman trikes are used by some of the leading beverage companies as means of promoting drinks in a unique and stylish way. Ships via Common Carrier truck, additional freight charges apply.